Ever since it was announced at last year's Comic Con that the Killing Joke would be receiving it's first ever animatedadaption,fans have been positively salivatingat the possibilities. The casting ofMark Hamill and Kevin Conroy - the definitive voices from the Caped Crusader's animated, and gaming adventures - serving only to heighten the expectation. And finally, after months of production, fans have now have been given something to whet their appetitesin the form of a new teaser trailer. Mark Hamill, the man famed forrevolutionising how the Joker should sound in Batman: The Animated Series (and some Star Wars thing), commented on the Killing Jokes' interpretation of the clown prince of crime;"If people want to see a really nasty, vile Joker, this is he one. He also revealed thatDC havewanted to do an animated feature for the Killing Joke back in 2009. The Killing Joke -considered to be the definitive Joker story in the Batman mythos - wasoriginallywritten by Alan Moore and illustrated by Brian Bolland back in 1998. The story goesinto the gory details of what's widely considered to be the most captivating of The Joker's many originstories; twisting its way to one of the most iconic closing frames in comic-book history. 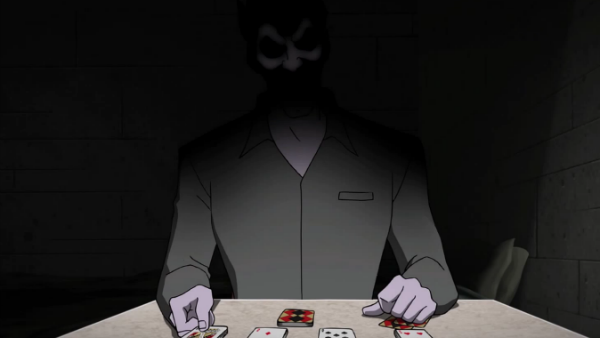 Batman: The Killing Joke is set to be released in Summer 2016.